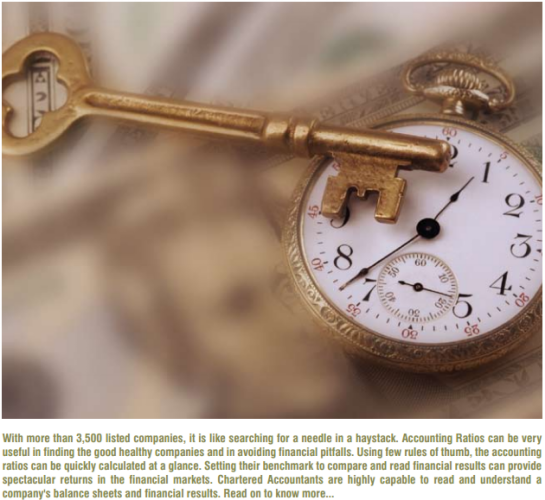 I wrote an article on the using of accounting ratios to find better investments after completing my CA for The Chartered Accountant Journal. The same has got published in the May 2012 edition. It covers few important benchmarks, some rules of thumbs and a brief about other important financial variables. Happy to share it with you all.